Hello guys! I can't believe Me Made May is over! 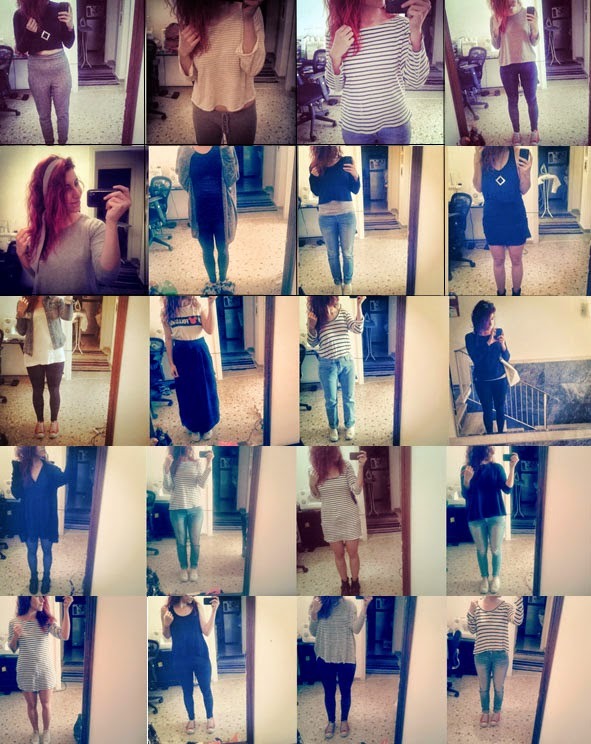 I had really fun discovering my me-made wardrobe. But sadly my last week of Me Made May was a total disaster! I had so much uni work that I spent the majority of the week at home in my pj's, in front of my laptop. The only times I needed to get dressed was for a quick trip to the supermarket or to run errands around the neighborhood. Hence the super casual outfits of this week. Another all Megan Nielsen pattern's Me Made May week! This was my first time participating in Me Made May. It was a really interesting experience that helped me see my me-made wardrobe with another perspective and discover the gaps in my wardrobe. Although May was the worst month for me, because the only thing I did this month was working on my final project for uni, mostly from home. So this meant that I had nowhere to go and no reason to get dressed to normal clothes! My sewing is more on the practical side. Sure I love a fancy dress, but I want to be able to wear my handmade garments on a daily basis. And since I'm more of a jeans and tee kind of gal my sewing tends to consists mainly of tees, leggings, slouchy tops and knit dresses. I love Megan Nielsen patterns. I didn't realised until now, but more than half of the me-made things I wore for Me Made May were made from Megan's patterns. I think they're really practical and perfect for everyday wear. I love stripes! I mean did you see my outfits last week? I look like I'm working in the Navy! The only print right now in my me-made wardrobe is stripes. My style is more on the minimal, monochromatic side, but I'd like to add more print in. Maybe I'm influenced by Sophie's amazing makes and how she styles them perfectly, mixing prints together! I need more bottoms in my wardrobe. I have many tops, tees and blouses, but not enough trousers, shorts or skirts. Overall I really enjoyed participating this year and I hope that next year my me-made wardrobe will be even better! So did you participate in Me Made May this year? What did you discovered about your wardrobe?